APSP1 PERSIAN IMMORTALS (EARLY) 10 FIGURE UNIT - Units are based, weapons attached and ready to use. APSP2 PERSIAN IMMORTALS (EARLY) 10 FIGURE UNIT - Units are based, weapons attached and ready to use. APSP3 LATER PERSIAN IMMORTALS 10 FIGURE UNIT - Units are based, weapons attached and ready to use. 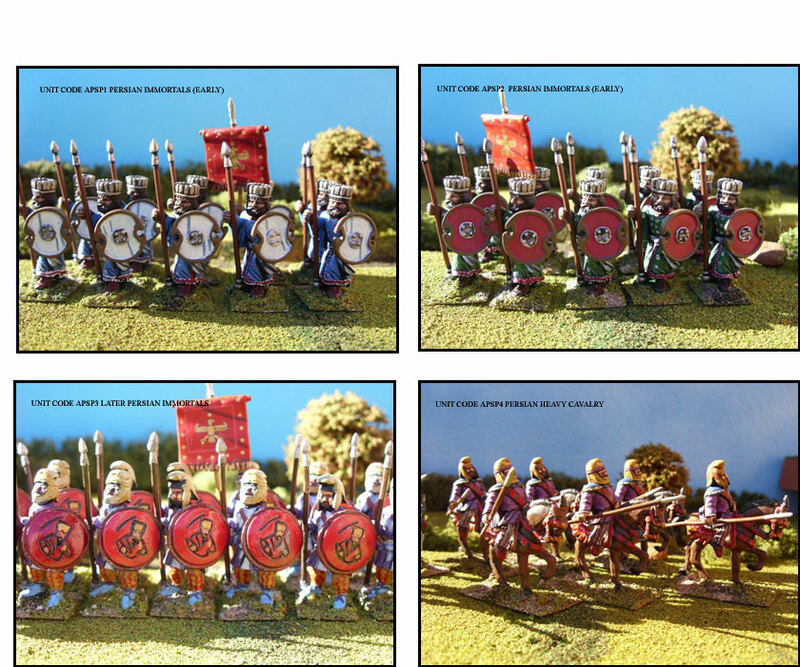 APSP4 PERSIAN HEAVY CAVALRY 8 FIGURE UNIT - Units are based, weapons attached and ready to use.